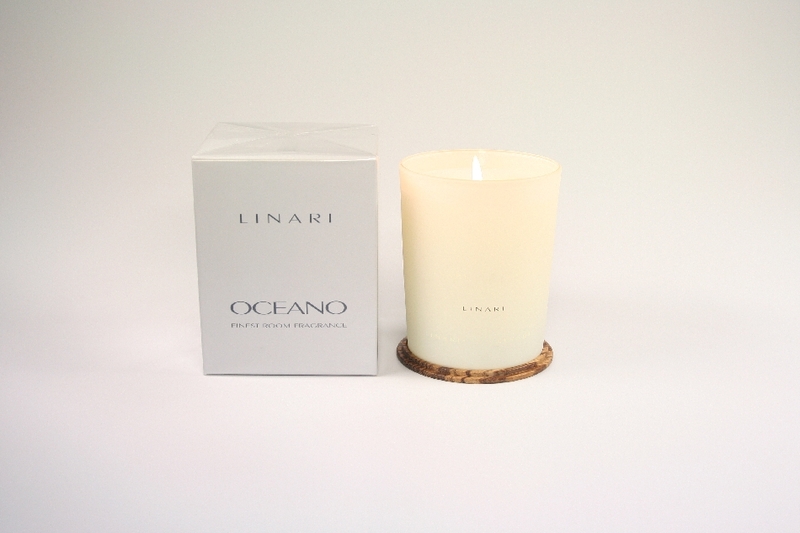 The 190 g Scented Candle LINARI OCEANO comes with a decorated ivory-coloured French glass container. 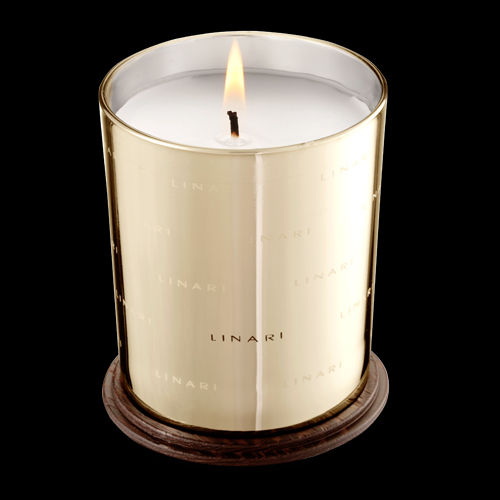 The 190 g Scented Candle LINARI OCEANO comes with a decorated ivory-coloured French glass container. 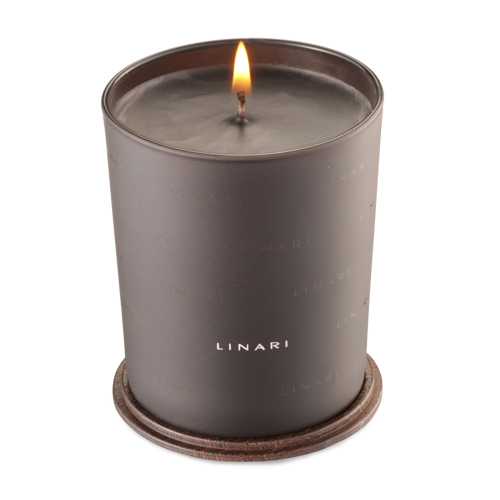 The glass is capped with a precious zebranowood lid, embossed with a silver-coloured LINARI logo, that can be used decoratively as a coaster for this and any of the other LINARI scented candles or diffusers. 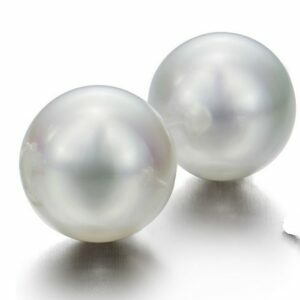 The patented MaxEssence® scenting system is a specially designed liquid fragrance of high performance. 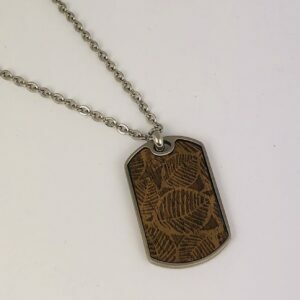 It achieves a high efficient cold fragrance throw as well as an surprisingly intensive hot throw. 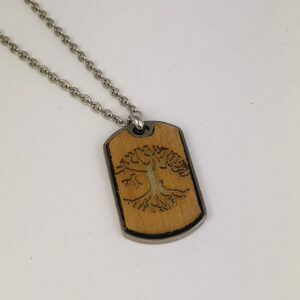 Estimated burning time up to 45 hours.